It was a scary day for fieldtrip. Constant checking with the NEA's weather animation since afternoon shows a huge scary cloud mass heading down south. On the boat ride, the animation on NEA's website shows a very scary angry cloud covering the western part of Singapore. Even Pulau Hantu was covered. At the pier, we were showered with the fierce blowing rain while waiting for passengers in the boat to alight. From google map, Pulau Hantu is located on the south-west after Pulau Bukom. The whole Hantu Island is form by two islets: Pulau Hantu Besar (Big Ghost Island) and Pulau Hantu Kechil (Little Ghost Island). Hantu Besar is located on the West and Kechil on the East of the island. 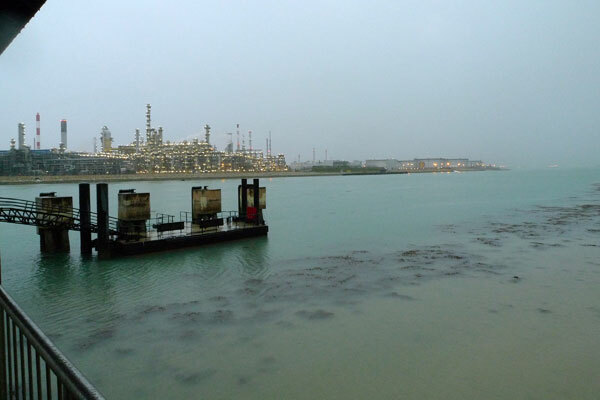 In between Hantu Besar and Kechil is the big Hantu lagoon. Apart from the yearly intertidal checks done a team of shore explorers, the Hantu Bloggers conduct regular dive session on the reefs of Hantu. 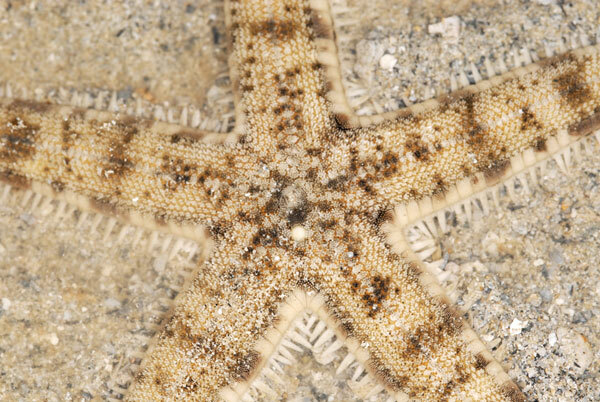 Regular updates on the reef health can be seen through their website. 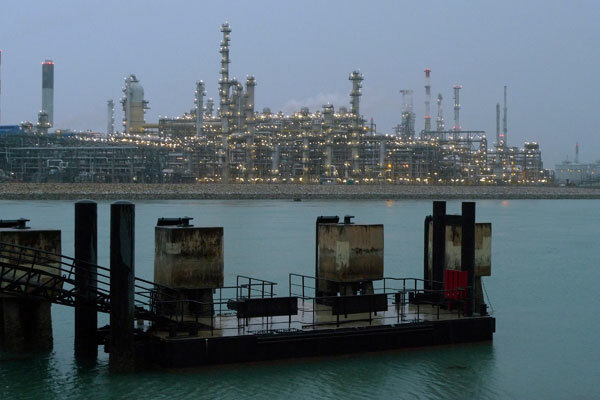 The Hantu Kechil jetty lies in front of the Southern coastline of Pulau Bukom. In the low light, heavy rain, bright lightnings and loud thunder, the infrastructures on Bukom Island are lit with lights that looks like Christmas lights. The heavy rain has caused serious murking in the water on the reef area that is densely covered with sargassum seaweed. It is not safe to walk in such murky water as mr. stonefish can be hiding anywhere. Murky water on the reef. The rain and lightning carried on for quite some time into the evening. I spent half the time walking around the shore looking at animals as my cameras were not weather proof. Majority of the photos here are taken in the later half of the trip, when the rain had died down. 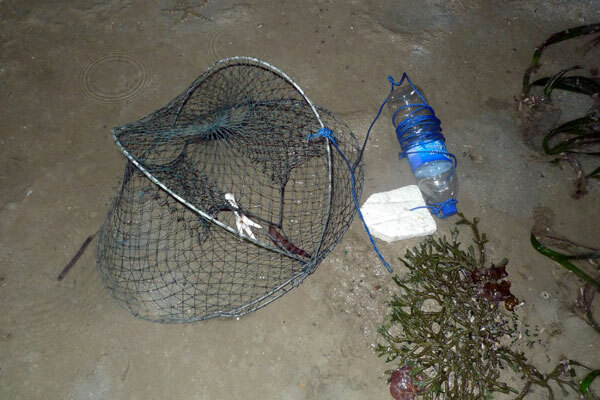 During this period, I helped to collect 3 samples of snapping shrimps. Despite the storm, there were many exciting things to be seen in the reef. 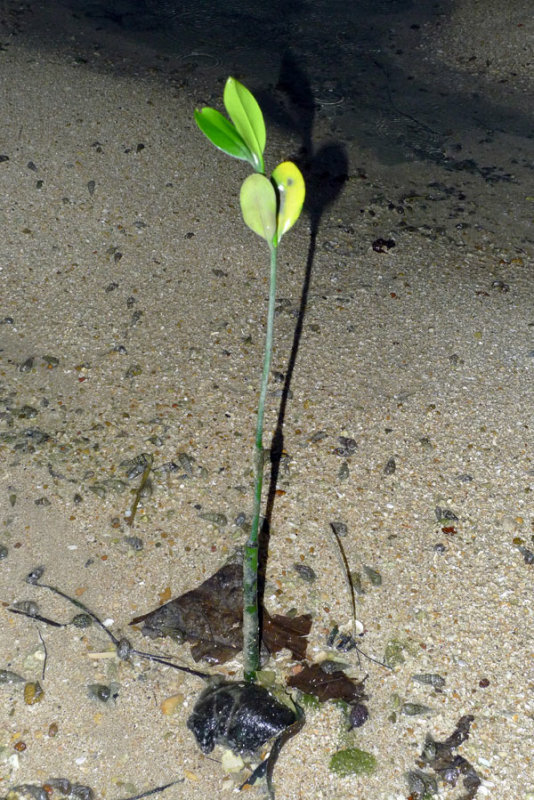 While walk down from the jetty to the shore, there were a few young mangrove plants rooted on the high shore and there were already leaves growing. 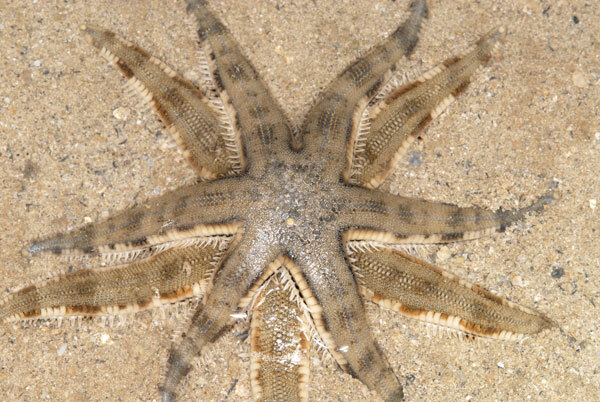 There were many common sea stars (Archaster typicus) everywhere in the lagoon. 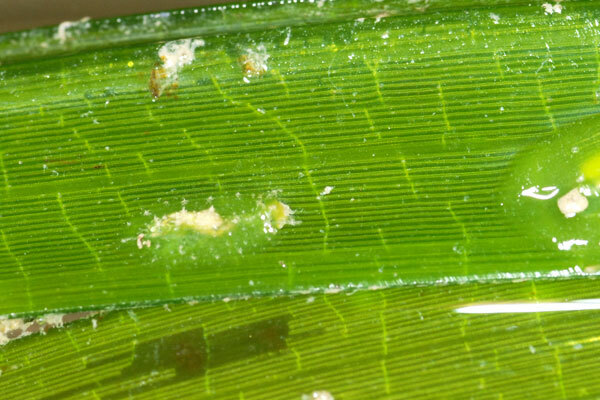 Some of them were alone, some were in pseudocopulation position. 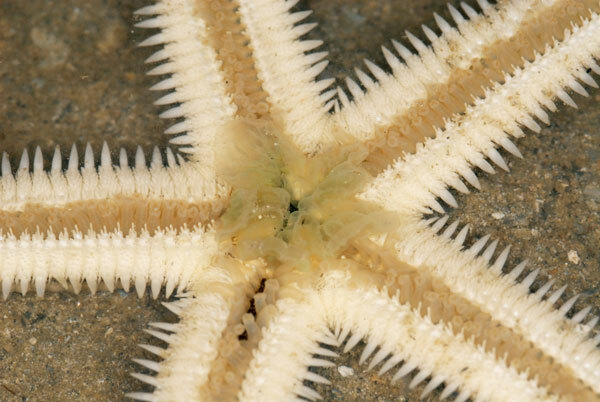 You can read about pseudocopulation position of sea stars in The Echinoblog. 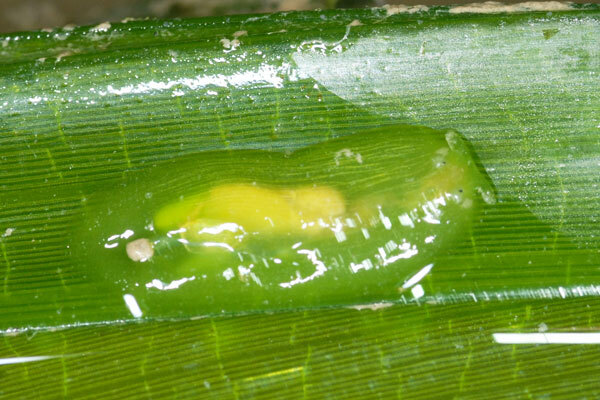 As mention in the blog, the pseudocopulation position allows maximised fertilisation during the mating process. Most of the time, we simply refer such position as the mating position. 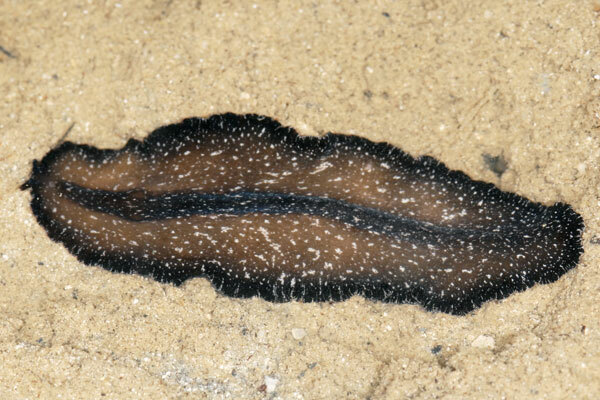 On one patch of tape seagrass, I found a starry flatworm (Pseudobiceros stellae) moving on a grass blade. 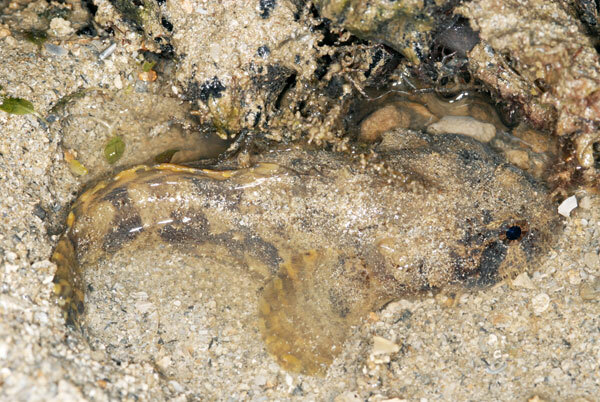 A small three-spined toadfish (Batrachomoeus trispinosus) was seen lying motionless in a shallow pool, next to come rubble. 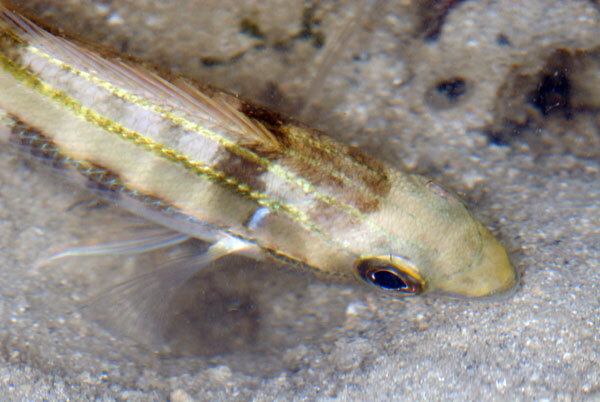 Other fish seen includes gobies, spangled emperor (Lethrinus nebulosus), plain halfbeak and many other small fish that were too fast for me to notice any features. 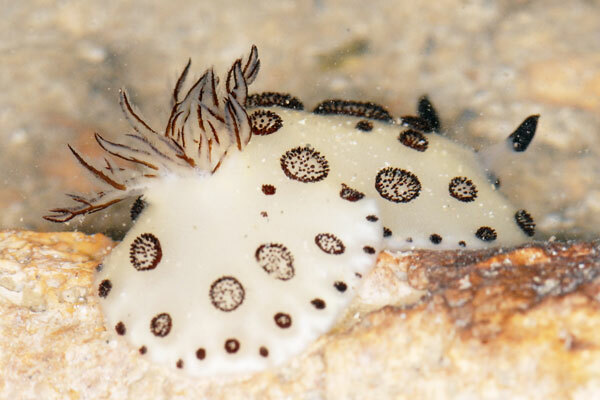 Marcus found a polka-dot nudibranch (Jorunna funebris). 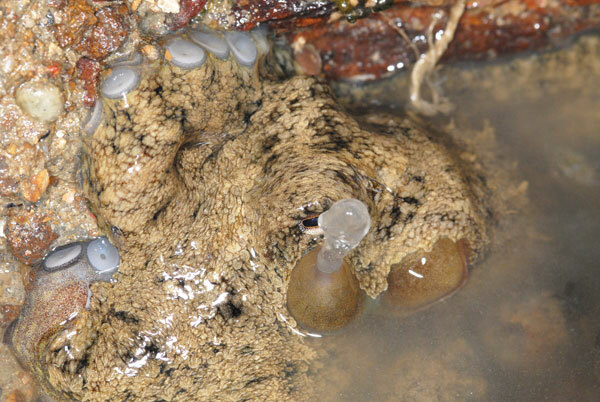 Chay Hoon found a seagrass sea hare (Phyllaplysia sp.) 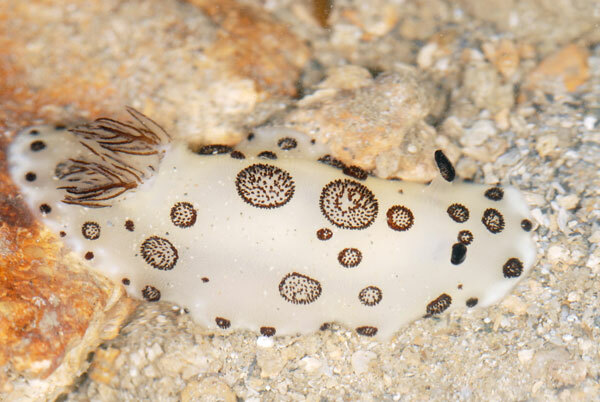 and a small gymnodoris nudibranch (Gymnodoris sp.). The sea hare blends in so well on the tape seagrass that anyone would have missed it easily if we do not spent enough time looking at the seagrass. 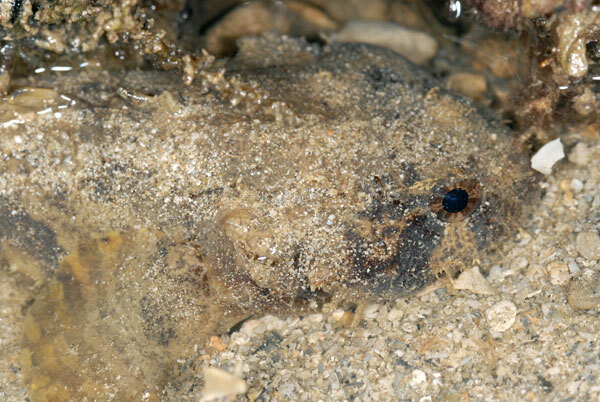 While taking photos of the seagrass sea hare, I found a even smaller seagrass sea hare moving behind the bigger sea hare. 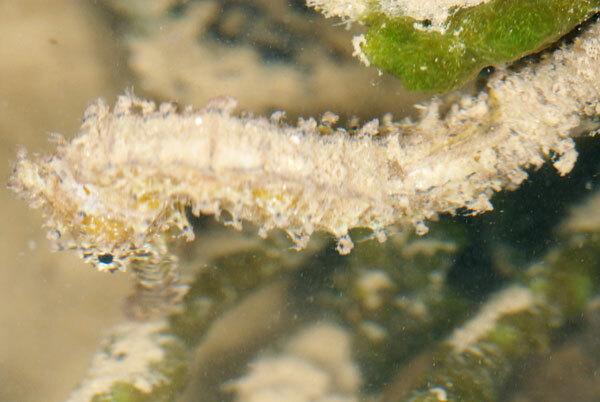 The best finding for me in this trip would be a tiger-tailed seahorse (Hippocampus comes). 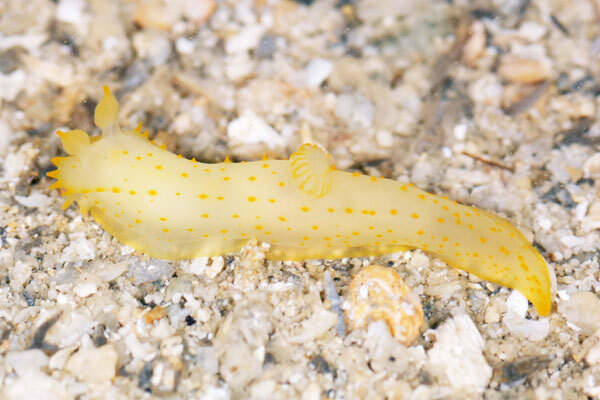 It is so funny that I could not find the seahorse when I kept searching for it and when I was focus on looking at some other animal, the seahorse appeared. 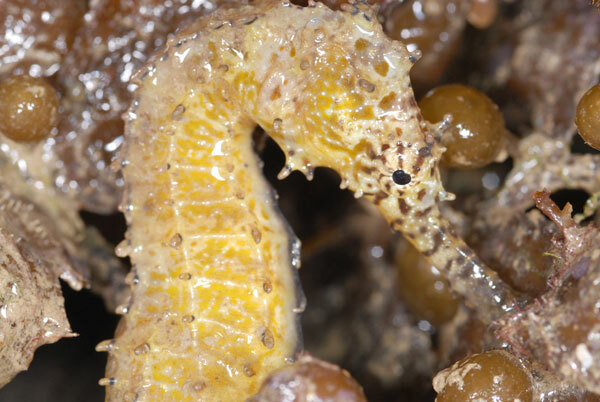 Here's a video of the seahorse. 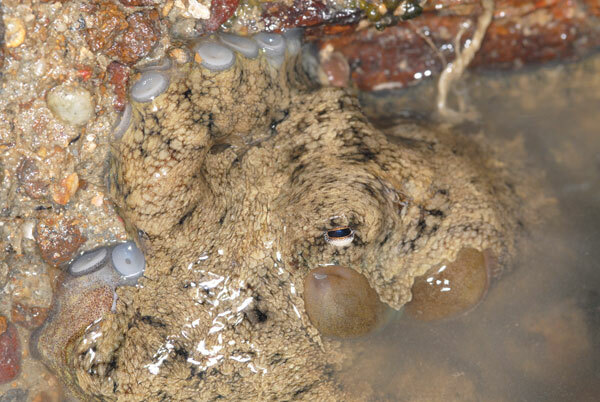 Nicole found a hyperactive cuttlefish, which we took quite some time to get it to stay still. Eventually, it settled down near by booties as seen in this video. 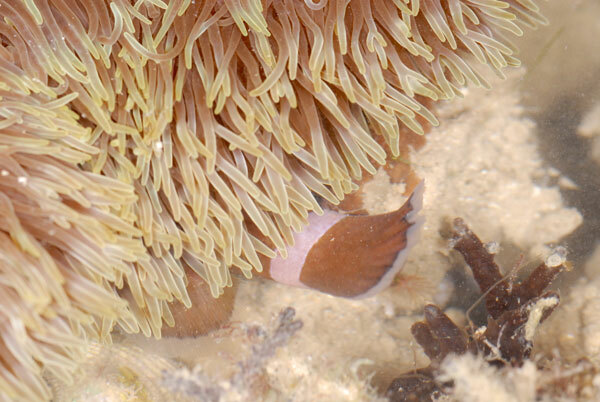 In the reefy area, I only see one giant carpet anemone (Stichodactyla gigantea). 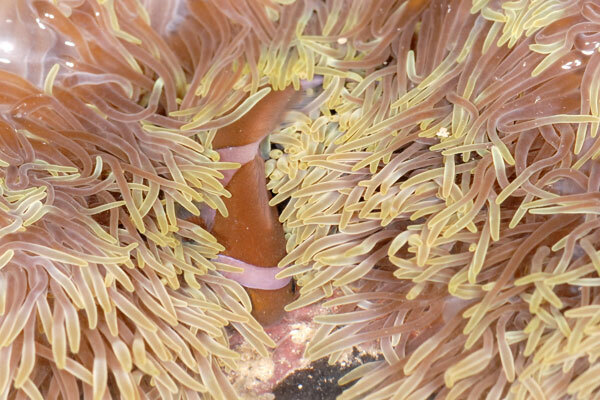 Suspicious movement on the tentacles indicates the presence of the false clown anemonefish (Amphiprion ocellaris) and there were at least 3 of them in this giant anemone. Back at the lagoon area in front of the jetty, Ivan found an octopus and he tried to coax the octopus into moving to deeper water but it refuses to move. Instead, it kept spouting water. 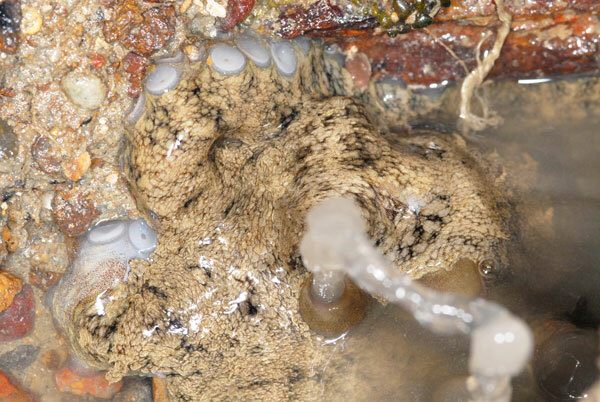 Here's a series of the octopus spouting water. 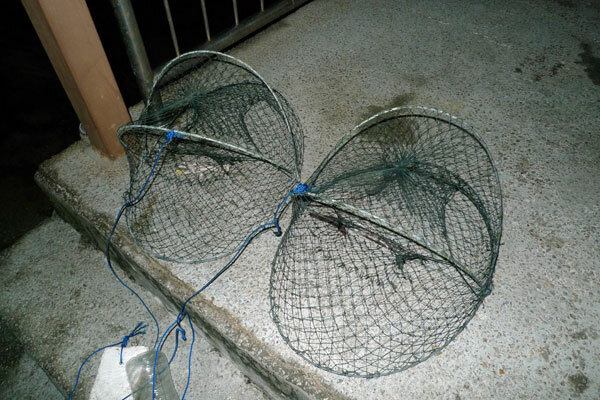 Alas, I found two crab traps placed in the lagoon. 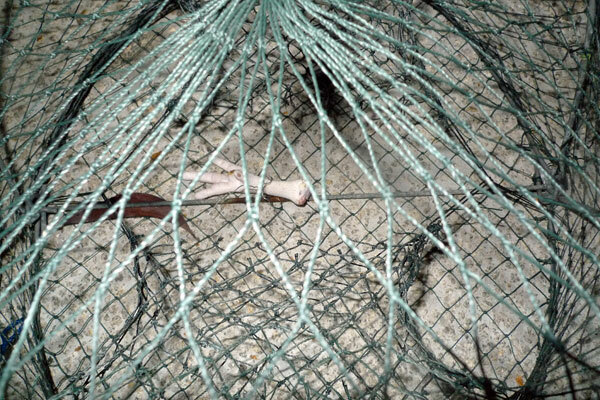 By the look of the chicken feet in the trap as bait, the traps was place in the lagoon probably earlier in the day. 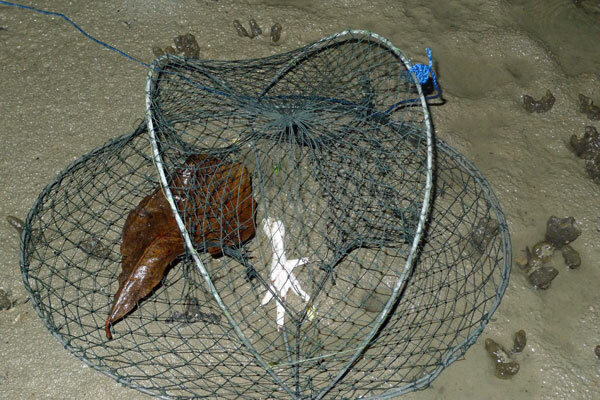 The second trap I found already had a flower crab in it. 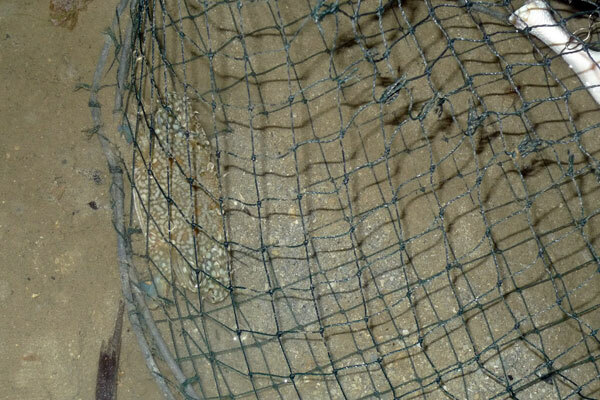 I cut the net to free the crab and removed both traps. Other than close lightning strikes, nothing else can stop us from going down to the intertidal reefs to check out the marine life. That's the end of the evening trips for this month. December is going to be a very busy month for me with work attachments at Raffles Museum of Biodiversity Research and my advance diving course at Lembeh Resort. Wait... I am suppose to be on school holiday like my students. Well... anything involving marine biodiversity excites me! WOW, you sure saw lots of wonderful creatures that I missed! The seahorse was a fabulous find! Bravo! Thanks Ria. I should have gone to the reef much earlier to have more fun. 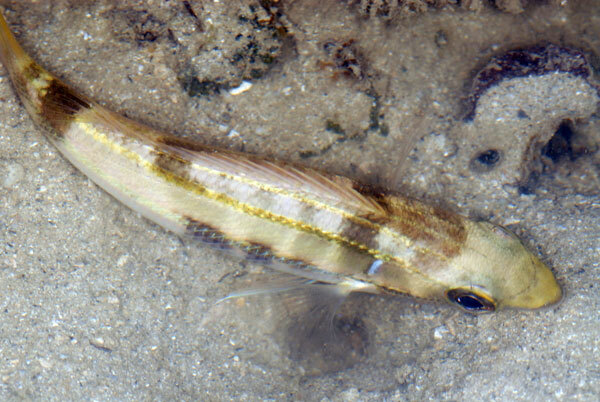 Great surprises on my first seagrass monitoring.